The good old days at Whitacre Junction, before the view became spoiled by lineside fences, lamp posts and assorted clutter. 58019 pulls out of the loop with a short rake of ballast hoppers, during a Sunday engineering possession on 28 September 1986. 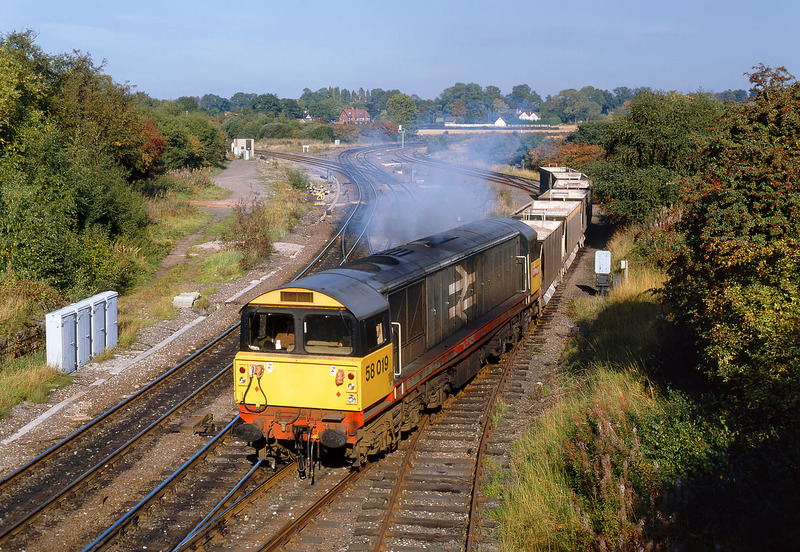 With very few coal trains running on a Sunday, it was often possible to see Class 58s on workings such as this in the 1980s.